I’m not quite sure what it is with me and mason jars lately, but these suckers are so dang versatile, I have to share everything I find. 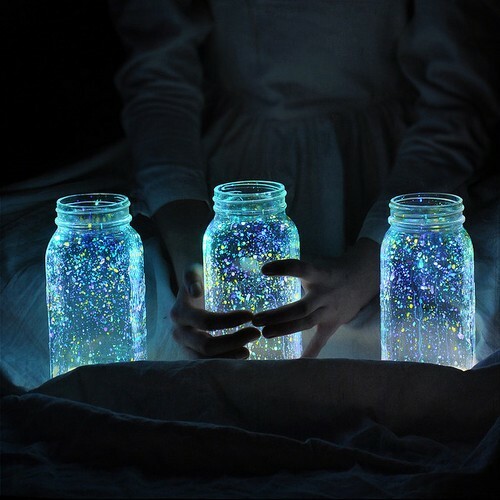 To replicate the look of fireflies, this crafty person via We Heart It painted the inside of the jars with glow paint. With summer inching it’s way here, I can see so many ways to use these in the next few months. Why trap a bug when you can fake it so prettily? This entry was posted in idea thief and tagged fireflys in a mason jar, glow paint in a mason jar by Annika. Bookmark the permalink.